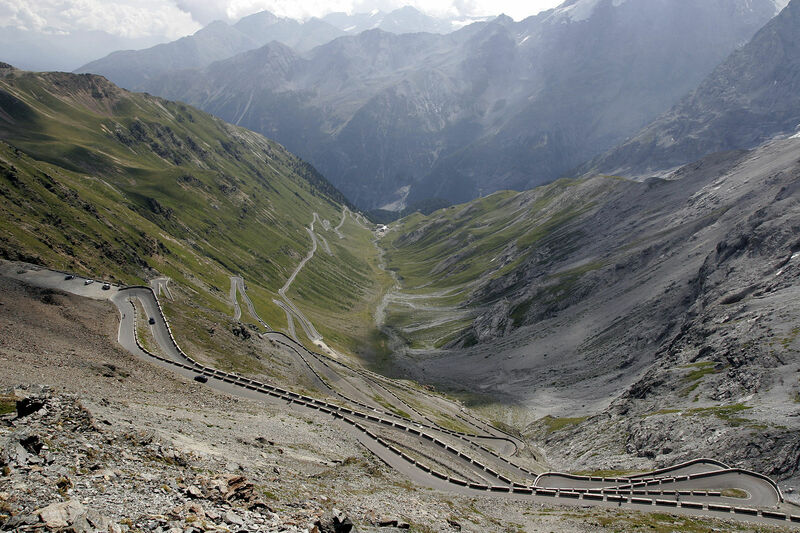 The Stelvio Yoke or Passo Stelvio with its 2757m altitude is the highest mountain pass in Italy and the second highest paved pass in the Alps. The Silfser yoke connects the villages of Prato Venosta (South Tyrol) and Bormio in Valtellina (Lombardy). 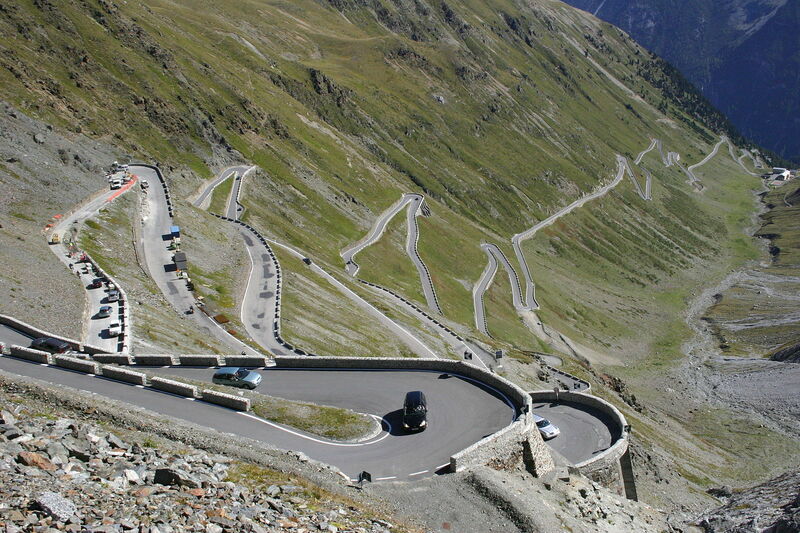 The pass road is paved throughout a length of about 50km and part of the Strada Statale 38 dello Stelvio. It is open from the end of May to November. 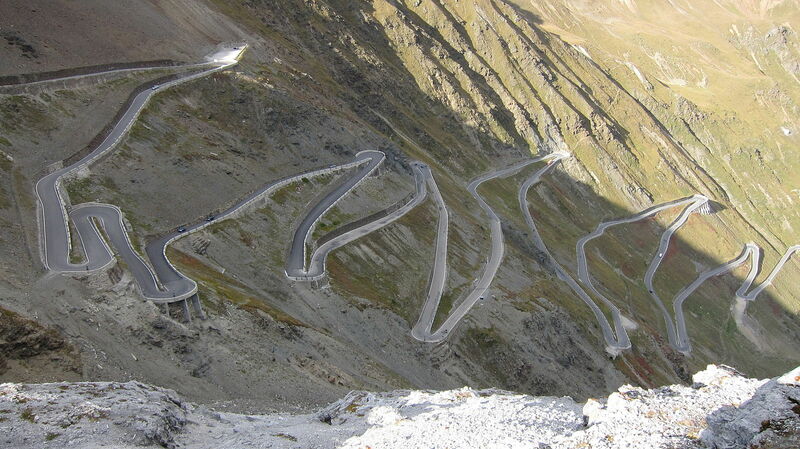 Furthermore there is an international motorbike event at the beginning of July where hundreds of bikers participate. Currently driving on the mountain pass is still possible without tolls. 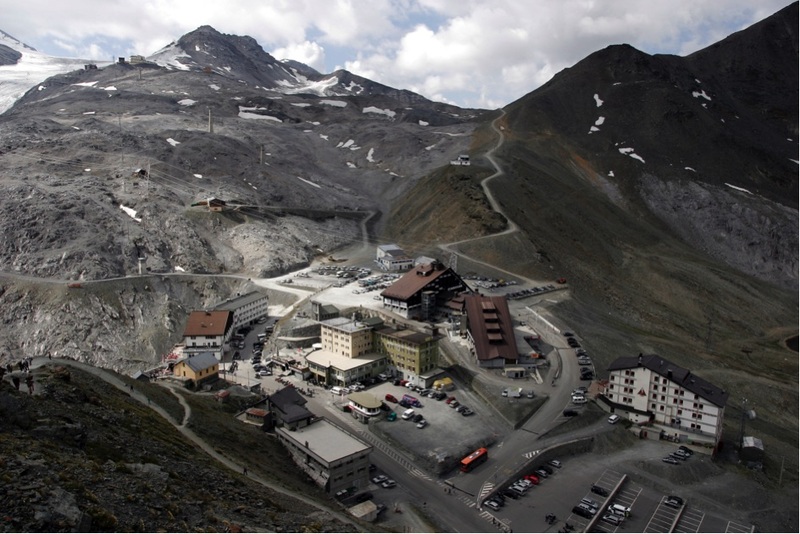 Interesting: in 2007 the Stelvio street was titled “worlds greatest road to drive” by car magazine “Top Gear”, produced by the BBC.